Toreto, a prominent leader in innovative and portable digital product market, announces the launch of Roar Stereo Earphones (TOR 260).Roar has come as the perfect solution for all the music lovers out there, who don’t want to waste moolahs on a pair of earphones. These trendy earphones are easy to use and thus, perfect for all, irrespective of their age. Compatible with any mobile device and music enhancing device, these earphones come with a driver unit of 10mm and have a rated Impedance of 16Ω. They have a frequency range between 20 Hz ~ 20 kHz and maximum thrust of20mw. The small case, other than integrating the mic, has keys to play or pause a playing track, the same keys can be used to answer or disconnect a call as well. With gold plated jack and rubber covered cord, these stereo earphones are perfect for any music fiend. The metal bass of Roar further ensures that you enjoy a superior sound quality and the stereo effect of these earphones is something that would soothe your ears. From laptop, tablet, smartphone, MP3/MP4 player and personal computer to Android, iOS and Windows, the Roar earphones are compatible with all. Just plug in the jack and get started with music roaring fun. This sleek and weightless earphone has a metre long cord and is available in classic colours – black, grey and white, which goes well with any smartphone. Roar Stereo Earphones have an MRP of INR 1099/-, consumer can, however, grab their piece at a discounted price of INR 440/- through all the leading e-commerce platforms across India for a limited time period only. 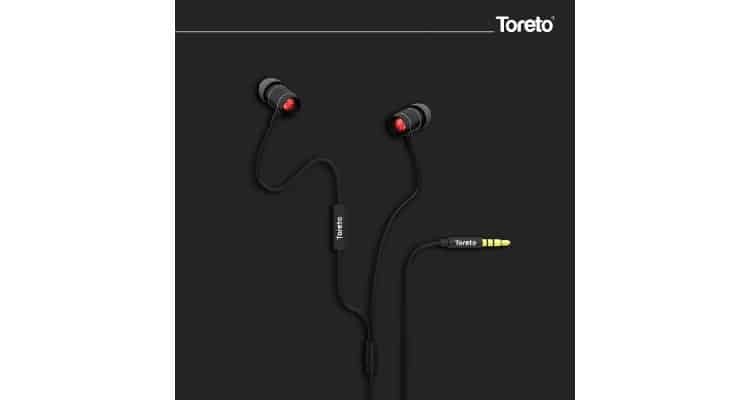 Toreto Introduces Iconic Earphones ‘ROAR’ With Metal Bass 0 out of 5 based on 0 ratings. 0 user reviews.